Using Shopify as an online product catalogue. Zipform Packaging needed a good quality online product catalogue, without transactions. We delivered that by using Shopify, and disabling the transactional functionality to create a great example of lateral thinking delivering a great outcome. When I first spoke to Zipform, Shopify wasn’t on my radar. When we gave our team the brief, Shopify emerged as the best solution to give the business a best practice website with awesome product search and display features. Zipform Packaging are a Perth business specialising in the design and manufacture of packaging, especially for food products. They were ready to upgrade from an outdated website, to a solution that allowed them to present their range of products and categories in a way that made it easy for their prospects and clients to search, browse and find exactly what they are looking for. Their marketing is Business to Business (B2B) to people in food businesses in charge of product development and procurement. 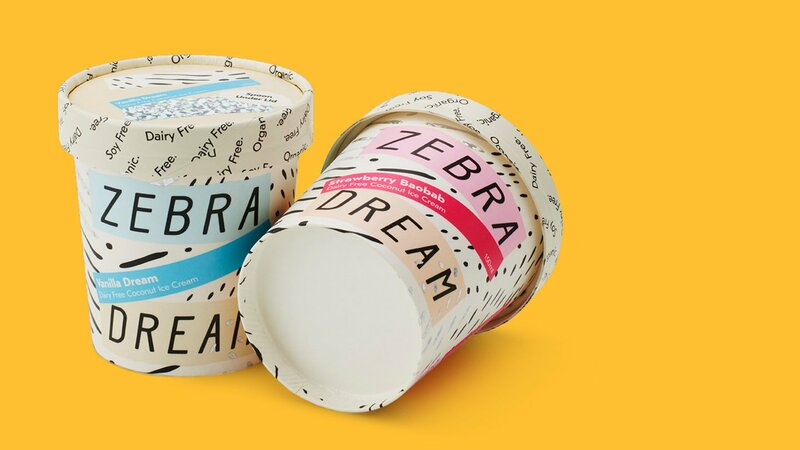 These people want to find examples of packaging solutions, and understand what is possible and what options may be great for their food products. Now, you might be thinking, is it possible to buy packaging solutions online? Well, it might well be, but that wasn't required by this client. Their essential requirement was for an online product catalogue, with no need for ecommerce functionality. Interestingly, Shopify still provides the best solution because this ecommerce platform is very good at product display and the management of product content. So, for Zipform packaging, we recommended Shopify, with the transactional functionalities switched off. 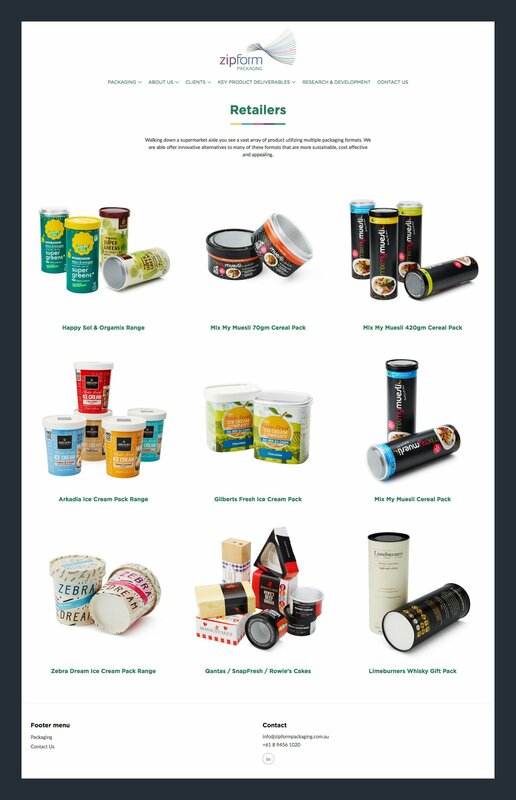 Take a look at their website and you'll find some food brands that you'll definitely recognise. 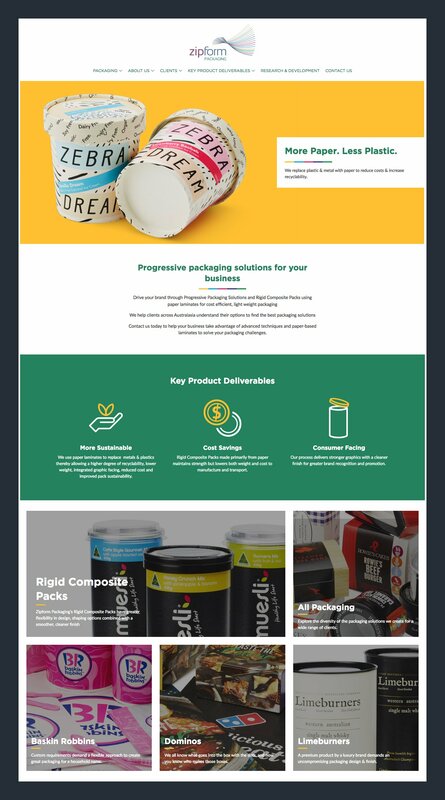 Shopify for B2B packaging business. On this project, the goals for The Cut's team of Shopify experts included elevating Zipform's online product display with a progressive and best practice website, design a website that is a genuine marketing asset to the business and deliver a high value solution for a realistic budget. The challenges we faced were somewhat unusual for an ecommerce website, in that the ecommerce part of the equation was not needed. The client operates in a very specific and rare business niche, with products to match. Plus, the focus of the website is on product display, categories and search, not purchasing. Zipform offer a broad range of products and one of your first challenges was to understand these categories and organise the various products variants into categories, types, sets and options that made sense for the website, and their potential customers. We're happy to report that by using Shopify we were able to achieve the efficient delivery of a superior and high value website that represented a huge leap forward for this client. We modified the core Shopify functionality to remove transactions and commissioned professional photography to make the Zipform Packaging products look awesome. Zipform have a great new website, built on the Shopify platform, that presents product options in a catalogue style, across many product categories, with high quality new images. Our solution brought this business’s online product display up to date with a best practice solution delivered quickly and efficiently. The flexibility offered by Shopify always surprises people so if you have unusual requirements and want a flexible approach, speak to our digital people today.